This is a list of places to visit when you want to go out for a meal or for a drink. It's a mixed choice of places with no particular order or preference. 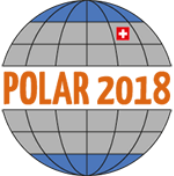 Restaurants with an * will keep extended opening hours during POLAR2018 to make sure that you get the best of Davos hospitality. open daily from 15-26 June 2018 from 8am - 10pm. Flexible times for group bookings are no problem. American Restaurant with beer garden, open daily from 10am-1am, Saturdays to 4am. From early breakfast through lunch to (early) dinner - open daily from 6am - 7pm. Open Tuesday-Sunday 12pm-late (warm food until 9pm), pizza, grill, music, bike parc - mostly outside seating at the river in the forest. Beautiful restaurant/hotel a bit outside of Davos, family-run with local high quality food. Can be reached by public transport (Bus), book a taxi for the way home if it's for dinner. Also a perfect spot for a leisurely hike with a nice lunch. Open daily from morning to dinner. This hotel includes several restaurants and a cozy bar. Open daily. Hotel with restaurant right at the edge of the forest and the golf course. Small, cozy restaurant at the golf course and the forest, open daily, for non-golfers and golfers. Fine dining in elegant atmosphere (Restaurant Panorama) or cozy and rustic (Restaurant Chesa). Season starts on 22 June, open daily for lunch (Chesa) and dinner (both). Beach restaurant right at the lake with big outside area and lake access for a refreshing swim, open daily from mid-morning til late. Please book for dinner. Part of the congress building, large terrace overlooking the park, open daily. Mountain hut on 1894m asl, to be reached on foot in about 1 hour, open daily from 10am-5pm. Pizza and pasta directly across from the congress centre. Open daily from 10am-2pm and 5pm-10pm.